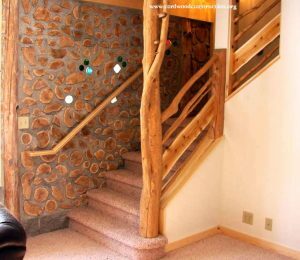 Running electrical wires in a cordwood home requires an understanding of the home electrical system and of electrical safety. 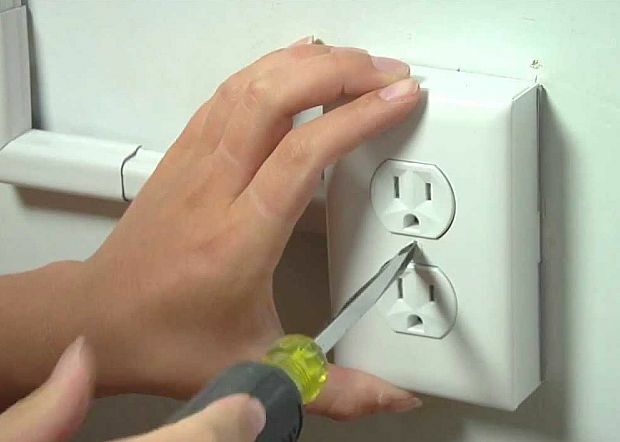 I personally solved both issues by hiring a master electrician to oversee and help me install my wiring. 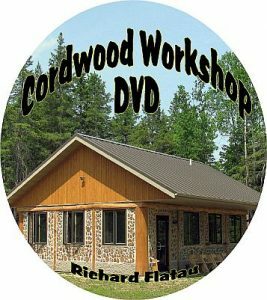 For the past 30 years, cordwood teachers have been advocating using a post framework for cordwood homes. So many advantages: 1. 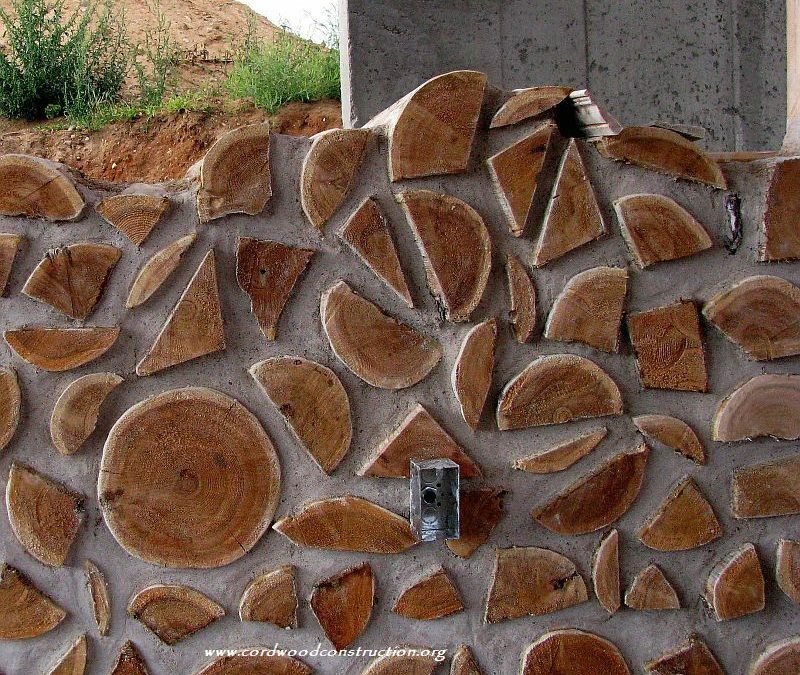 The roof can be erected before the cordwood is started. 2. The wiring can be installed. 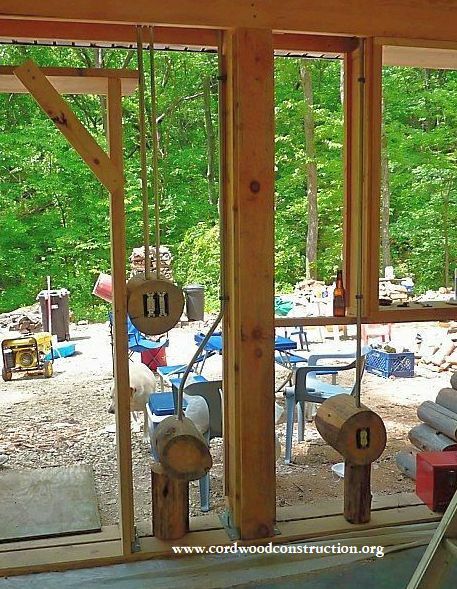 3 The plumbing lines can be run. 4. The cabinets can be installed. 5. Materials and workers stay high and dry. 6. If winter comes early, the unfinished sections can be temporarily enclosed and work can continue on the inside. 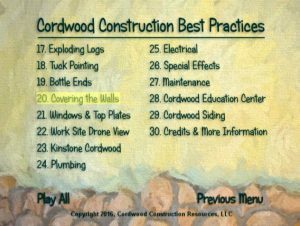 The most effective way to install wiring is to do it before the cordwood walls are built. The same is true of plumbing. 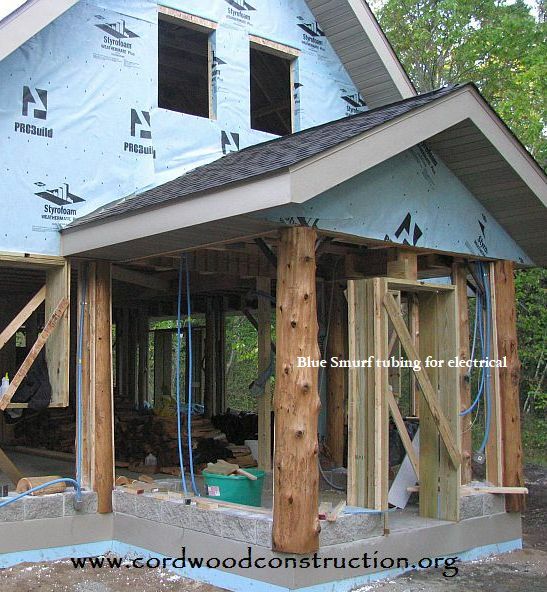 A good house plan/ floor plan should include all the wiring specs. 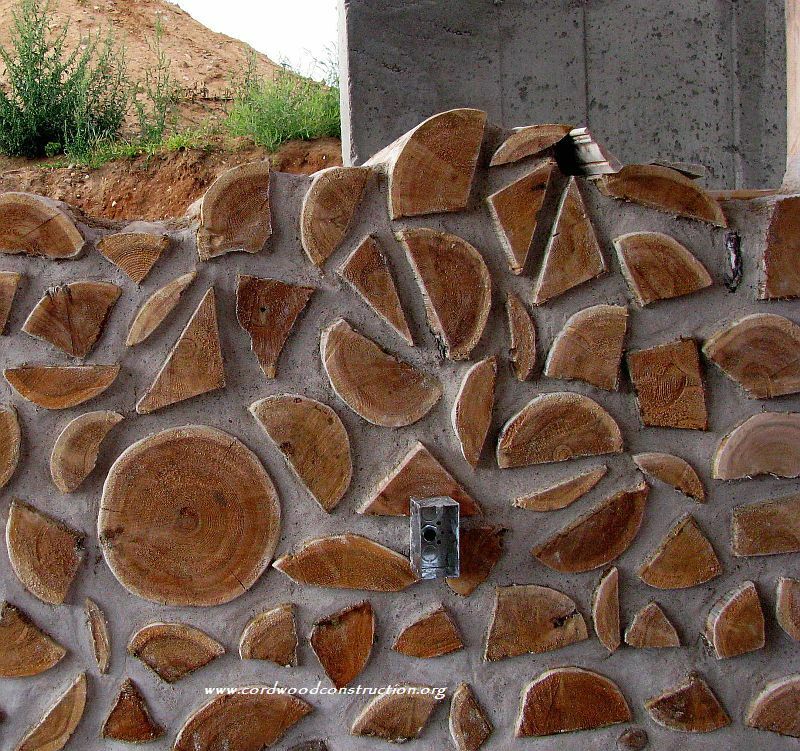 Here are five basic ways to wire a cordwood building. 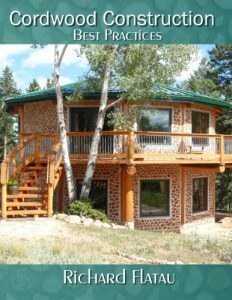 The owner/builder needs to do a cost/benefit analysis to determine what works budget-wise, what is safe and what is code approved. I. Using metal electrical conduit. This is the safest and most code compliant method. 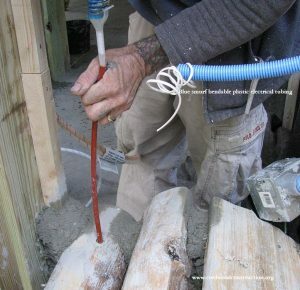 Wires can be pulled after the conduit is installed and changed at any time. 2. 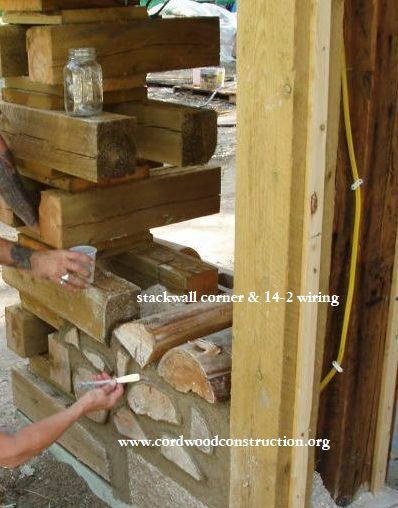 Using 14-2 or 12-2 wires stapled to the middle of the post framework. 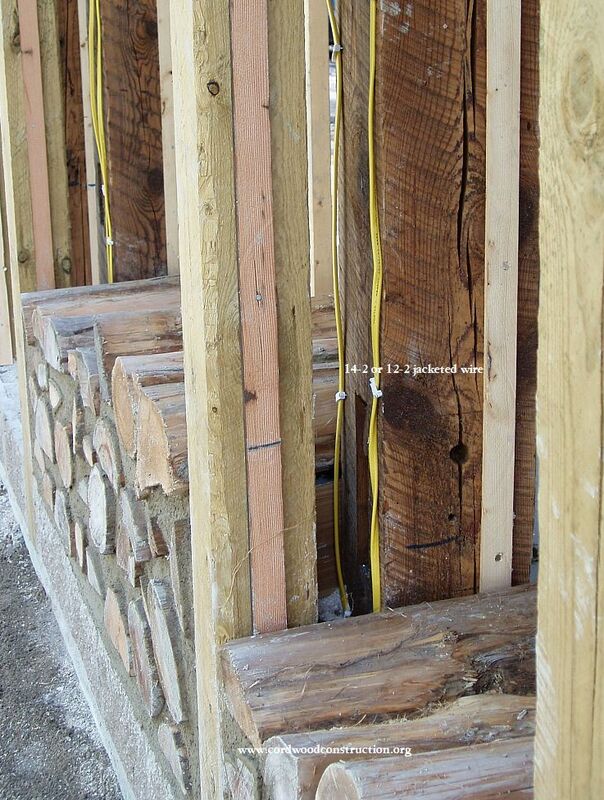 12-2 wiring can also be used for underground wiring, the wire jacket is impervious to the soil. 3. 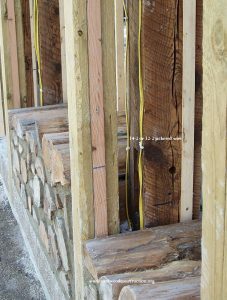 14-2 wiring stapled to the posts and run into the attic. Note the stackwall corner built as a single post to the left. 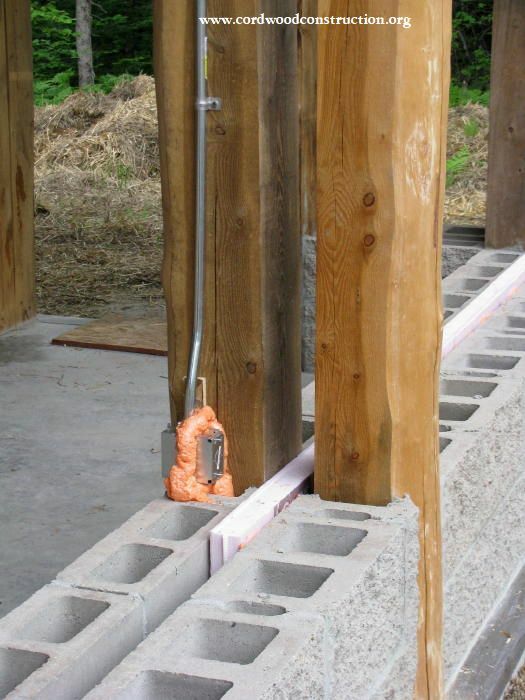 The post framed window has a hole routered for the receptacle beneath it. The duct tape is an attempt to stop handprints on the 150-year-old post. 4. Blue Smurf Wiring (bendable plastic tubes). The wires can be “run/pulled” through the flexible tubing ahead of time. The plastic jacket protects the wires. The receptacles and on/off switches can be positioned anywhere in the wall (not just next to a post). This is the finished interior of the “Blue Smurf Wiring” home, the switch plates are attached to the post and then a cover plate is secured. 5. 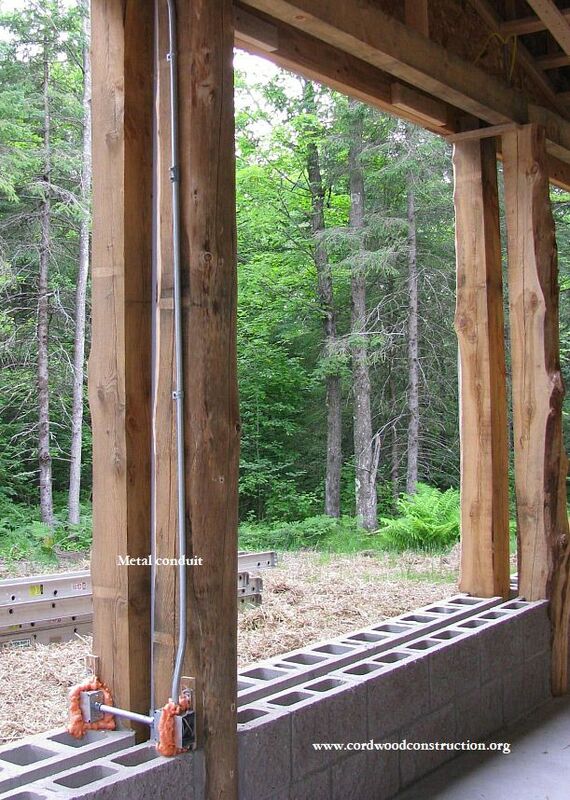 Conduit with hollowed out logs for receptacle boxes. 6. The conduit can be placed on the interior of the cordwood walls. 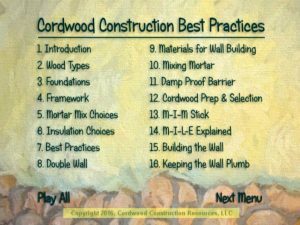 This is also called raceway or track wiring (among other names) and allows the builder to make wiring decisions after the cordwood is finished. 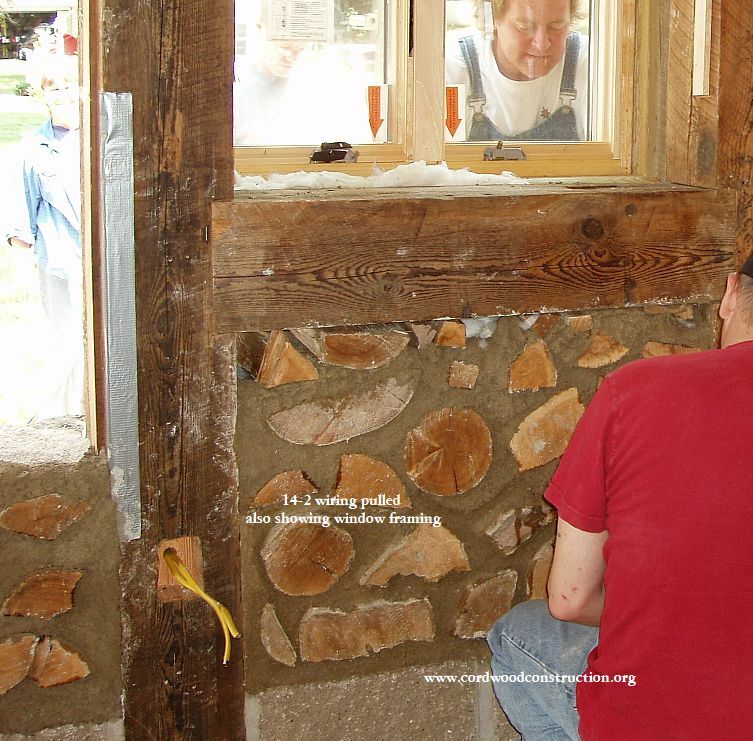 Notice the attractive random patterning and tight mortar joints. Raceway wiring is installed on the surface of the walls. This is not meant to be an exhaustive list, but only a beginning. I haven’t mentioned BX, Romex or other methods of safely isolating wires from accidental damage. Putting the wiring in the center cavity (Option Two) 8 inches away from potential damage (and secured with wire staples) is the easiest and least expensive method of running wiring BEFORE the cordwood infill commences.